You would never believe this is a tortilla. The flaky crust on the outside is baked to perfection. This really takes no time at all. 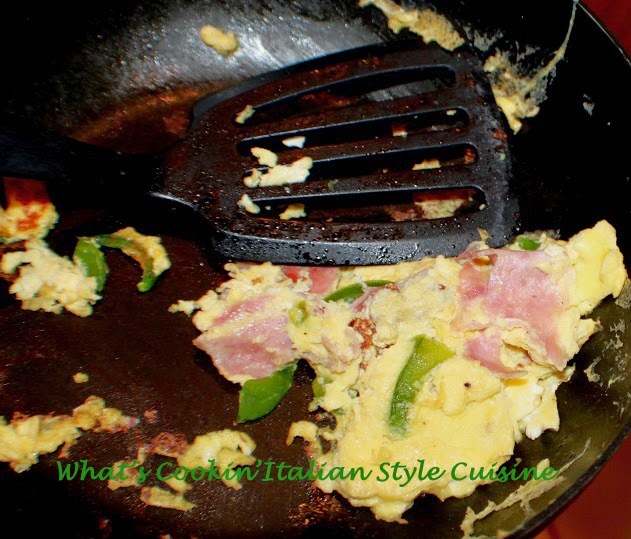 The filling is wonderful with Italian meats such as capicola, pepperoni, eggs and more. 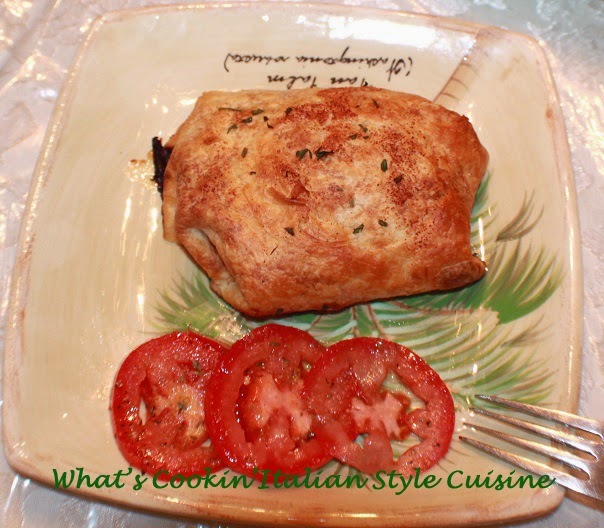 All inside this little tortilla calzone style pocket making it the best breakfast to start off your day. Great lunch for the kids too! Optional other suggestions: olives, mushrooms, onions, prosciutto, mortadella, salami. I used 4 eggs beaten with 3 tablespoons milk adding 1/2 teaspoon each of the herbs listed and a little garlic powder along with 1 teaspoon minced garlic. In a large fry pan heat 3 tablespoons of olive oil till warm. Add the eggs, top with chopped capicola and chopped peppers. Lay out one large tortilla, add the provolone on the bottom, some eggs mixture, pieces of pepperoni all in the middle. Fold up the sides, then both ends to the center. 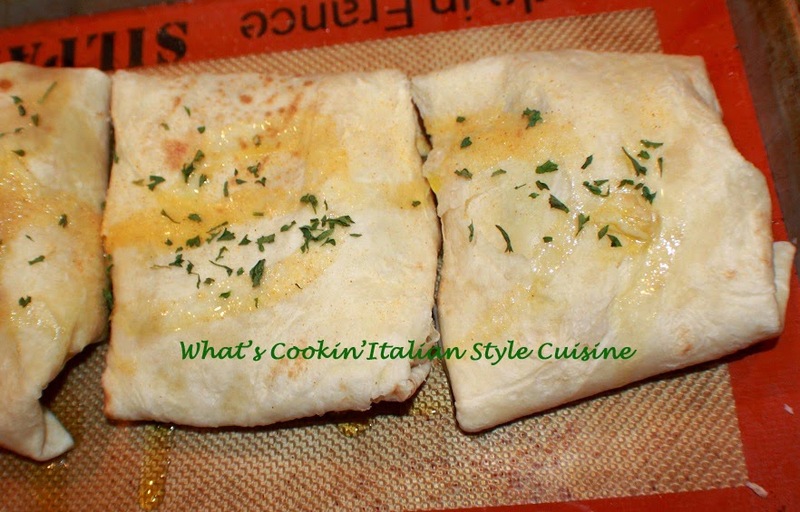 Flip on the folded side down on parchment paper. Sprinkle with garlic powder, parsley flakes then drizzle tops with olive oil. Bake in a hot oven 400 degrees until browned around 15 minutes. My kind of breakfast - looks delicious.